HULU — and Goodbye, Trippin’ Blog! Wow – it’s hard to believe that it’s been a year since THIS happened. Every year is so different from the next, I feel like I’ve lived a couple dozen lives by now. 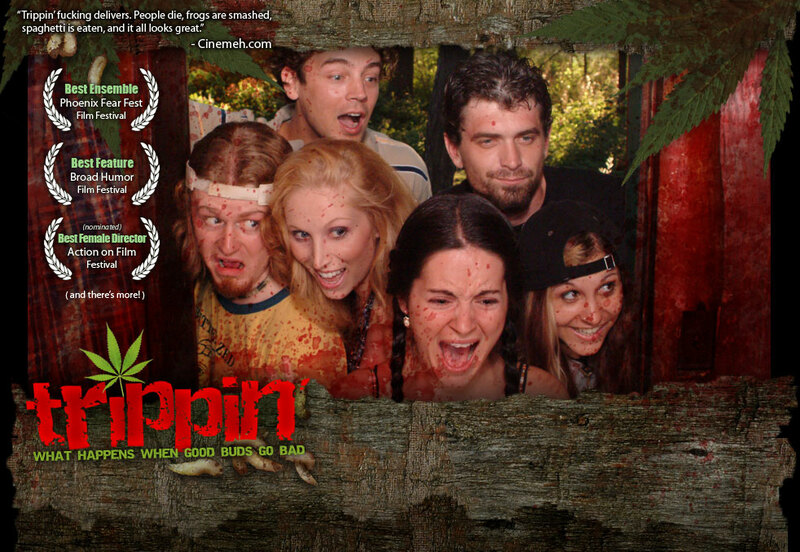 And TRIPPIN’ continues to have its own lives, too. Who’d’ve thunk it way back when as we traipsed through the woods with buckets of gore for two weeks and no budget to speak of? Yes, it’s been quite a journey over the years with the filmmaking, festivals, travels and other assorted adventures. But I think it’s time to bring this blog to its rightful end rather than just leave it sitting here neglected, wondering if any more’s to come. 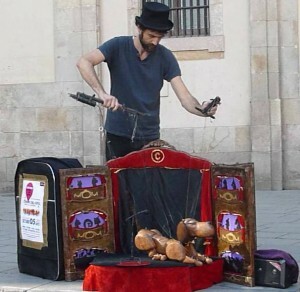 Meanwhile, I’m not very public myself these days, but suffice it to say I’m trying desperately to curb my gypsy travel habits for a spell (oh, but I’m so in love with Barcelona — the puppets! — no, no, no – aback you evil gypsy mind curse!) so I can focus on my latest passion – fiction writing (I’m being published next month!) — and gearing up for our next, most ambitious film and transmedia project yet. News on all of that is forthcoming, but not right away and likely not here. As such, this blog bids you adieu and thanks you for following us and being a part of this super fun journey! This entry was posted on Friday, November 1st, 2013 at 2:06 pm	and is filed under Diary of a Directrix, News, Screenings. You can follow any responses to this entry through the RSS 2.0 feed.